Yes, this is the diary of a bored twenty-something. But I figured out pretty quickly after graduating/starting this blog that I had better come up with some ways to occupy my time. Therefore, I have picked up some new hobbies and pulled some new tricks out of my sleeve. I feel confident enough in my abilities to share some of them with you. 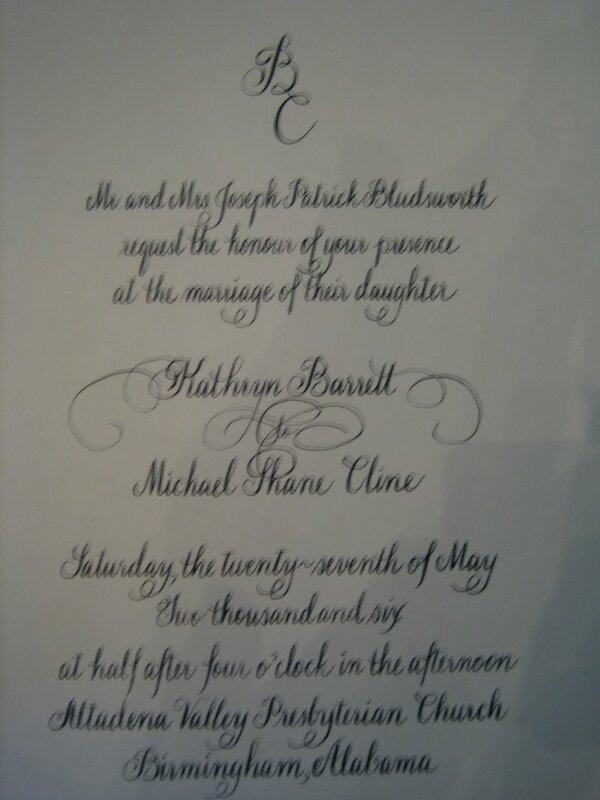 Yes, I wrote that by hand! 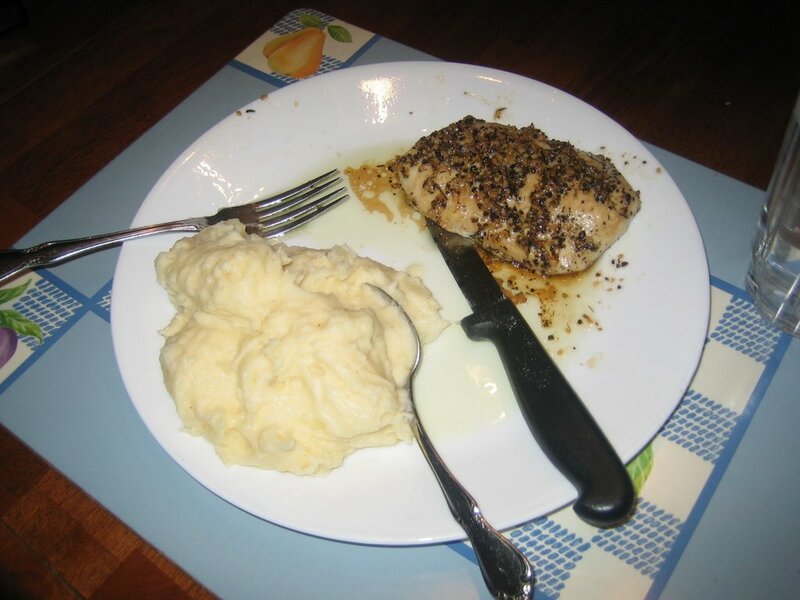 Chicken and cheesy mashed potatoes, yum! Then last night, my sister came over for dinner. She is a very good cook, so the pressure was on for me to make something that she would approve of. 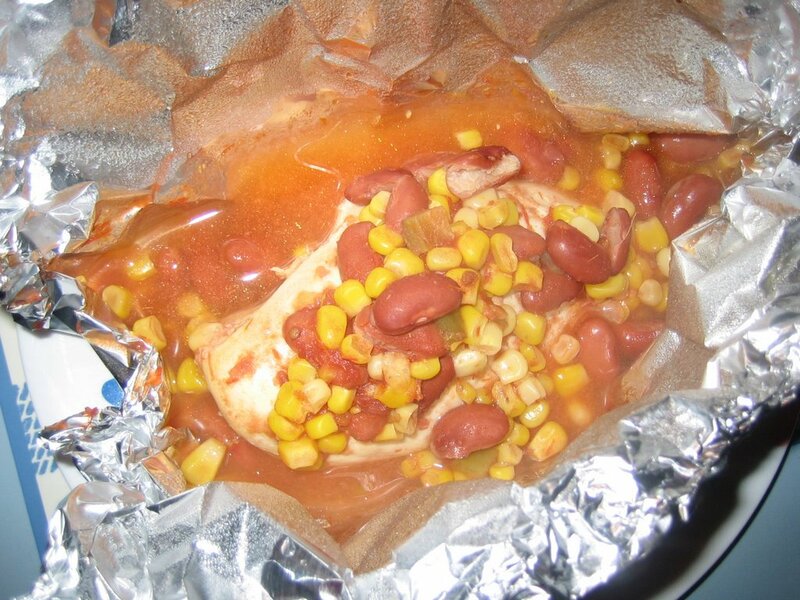 After searching the internet for a lowfat, quick and easy chicken recipe, I came up with one that involved tin foil, chicken, salsa, sweet corn and kidney beans. Super easy! You spoon the salsa, beans and corn onto the chicken, make a little pouch out of the tin foil and bake for 20 minutes on 450. I was very nervous to open up the little tin foil pouches, but once again, the meal was completely edible and definitely repeatable. 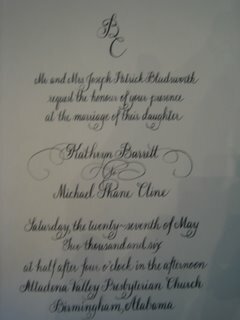 My sister even gave her stamp of approval! I promise that's not throw-up, it's a really good dinner! Those are my two main hobbies. One other thing that I have taught myself to do is cut my own pineapple. This isn't that hard, but how many of you can say you've done it? It's very gratifying, and doesn't taste tangy with preservatives like the kind you buy pre-cut. And of course, I've spent time doing lots and lots of reading, throwing and attending fabulous wedding showers, and of babysitting for some sweet kids... and some not so sweet kids. I am proud of you, Linds! Your chicken was "delish" as my hero Racheal Ray would say. I think I'll even add it into my rotation of chicken recipes!